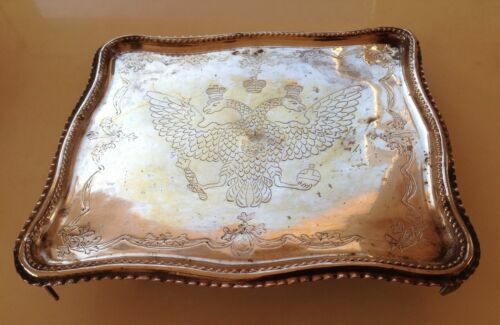 $295.0 Silver Salver Round , Chippendale with Feet 14in. $420.0 Silver Coffee Tray Padlock 14 in. 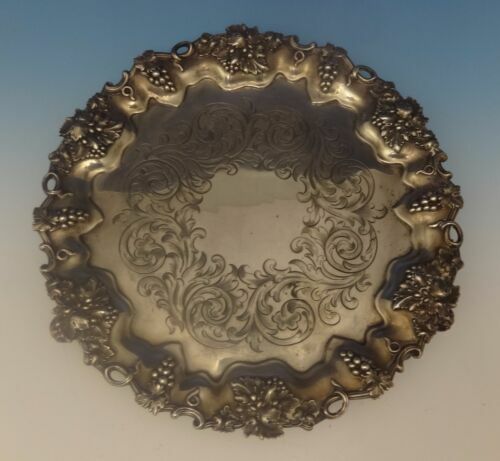 $320.0 Silver Salver Round Shaped with Feet, Running Gadroon 12 in. $304.0 English sterling Salver Robert & David Hennell London 1798y 154g7 1/4" x 5 1/4"
$320.0 Silver Coffee Tray Padlock 12 in. 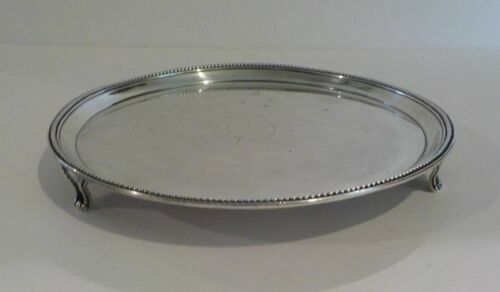 $290.0 Silver Salver Scalloped Edge, Gadroon Mount, 12 in. 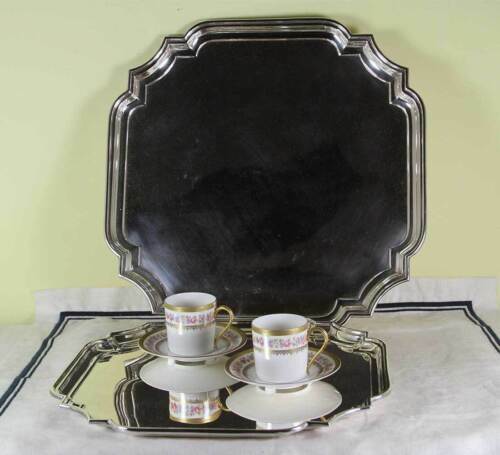 $220.0 Silver Square Salver, Chippendale Shaped Corners 12 in. 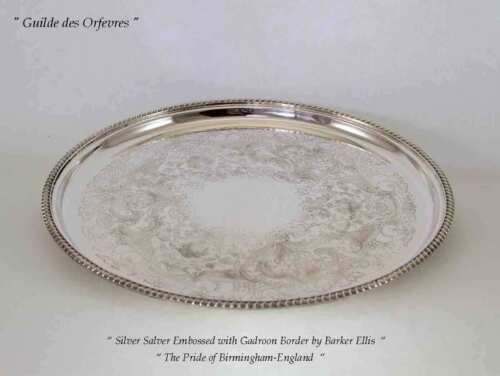 $195.0 Silver Salver Scalloped Edge , Gadroon Mount, 8 in. $540.0 Silver Coffee Tray Padlock 16 in. 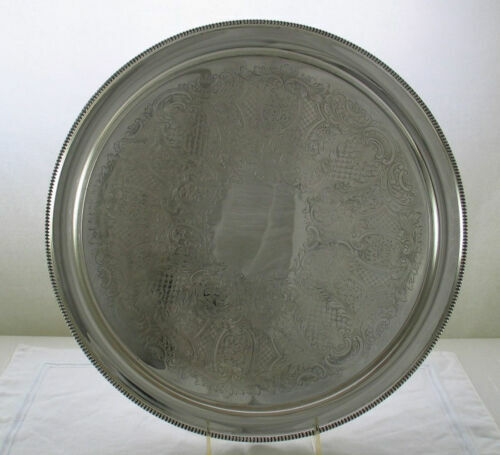 $460.0 Silver Round Shaped Salver with Feet, Running Gadroon 14 in. 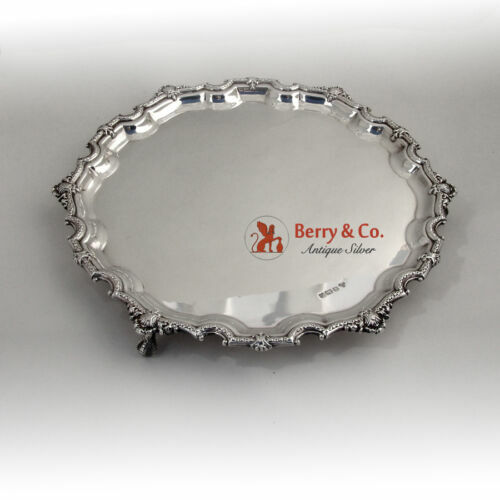 $195.0 Silver Shaped Edge Salver Plain 12 in. 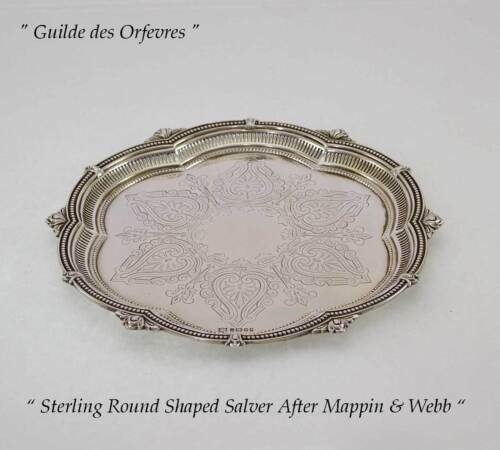 $290.0 Silver Salver Scalloped Edge , Gadroon Mount, Engine Turned/Guilloché 12 in. $280.0 Silver Square Salver, Chapped Corners 14in. 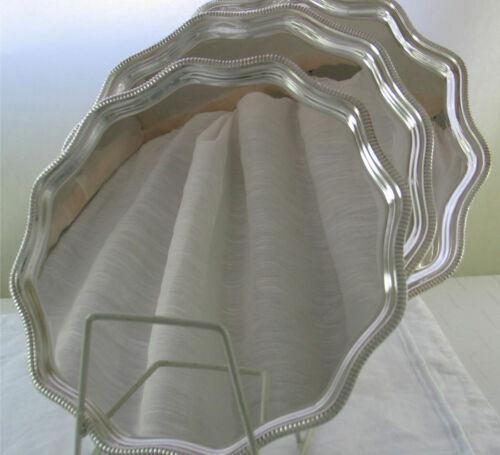 $380.0 Silver Salver Scalloped Edge , Gadroon Mount, 14 in. $360.0 Silver Salver Square, Shaped Corners 14 in. $380.0 Silver Salver Scalloped Edge , Gadroon Mount, Engine Turned/Guilloché 14 in. 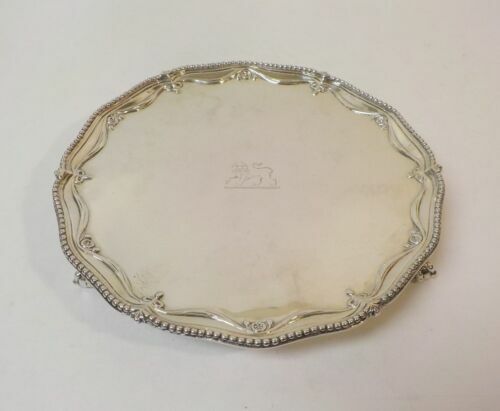 $220.0 Silver Square Salver, Shaped Corners 11 in. 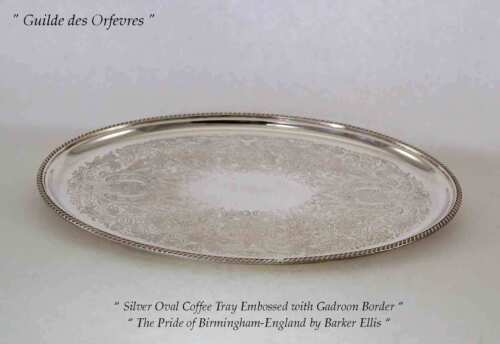 $240.0 Silver Salver Scalloped Edge, Gadroon Mount, 10 in. 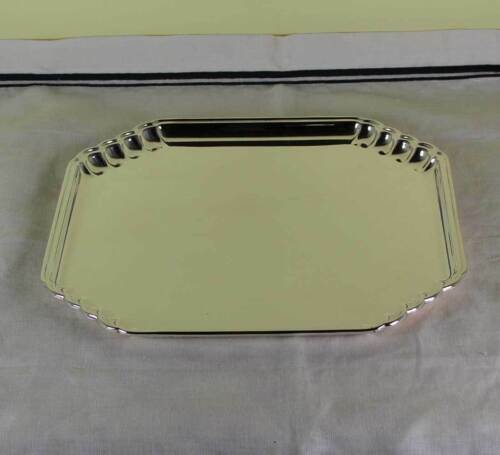 $120.0 Silver Shaped Edge Salver,Plain 8 in. $300.0 Silver Salver Square, Chippendale Shaped Corners 14in. $1740.0 SILVER SALVER, 18TH CENTURY. 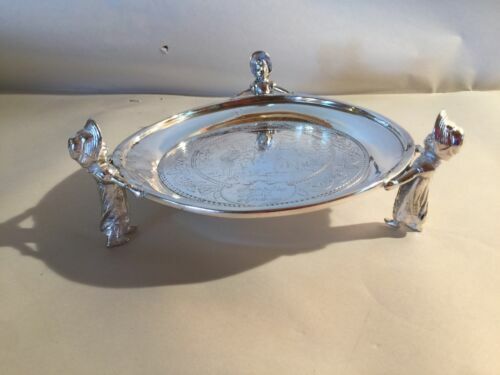 $995.0 COIN SILVER LINCOLN & REED BOSTON FANCY FOOTED SALVER-8 1/2"